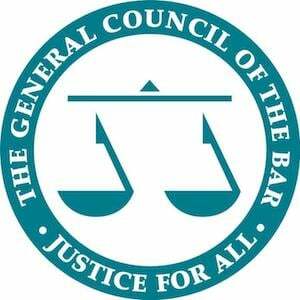 If you are aspiring barrister and want to commence the Bar Professional Training Course (BPTC) at any time in the future, the Inns of Court scholarship for the BPTC is by far your best shot at trying to secure some means of financial support for the whopping £19,750 (BPP Law School) for the BPTC. Whether you choose to undertake the BPTC in an institution in London or outside of London, you would probably end up paying nothing less than £15,000 for the course. Therefore, it was crucial for an aspiring barrister like me who was also a full-time student to find ways in which I could fund the course without taking further loans. Fortunately, I was successful in obtaining a prestigious scholarship from The Honourable Society of Middle Temple, which provided the majority of the funding for my course. I was also privileged to receive a further scholarship from BPP Law School as a fee waiver which subsequently meant the entire fee for the BPTC was paid for by the two scholarships I had received. Do you want the same? Well I am here to help. First and foremost, it is important for you to become a member of one of the four Inns of Court (Middle Temple, Grays Inn, Inner Temple and Lincolns Inn). My choice for choosing Middle Temple was solely for scholarship purposes. Middle Temple interviews every applicant who applies for the BPTC Scholarship (provided they meet the basic criteria of being accepted on the BPTC) and has the largest scholarship fund. With Middle Temple, once the panel deems you to be worthy of a scholarship, the financial element and how much to give is at the discretion of the panel. Unlike some other Inns of Court, each scholarship comes with a set amount from the outset, whereas with Middle Temple, it is almost customised to meet your personal needs. The interview itself is something not to take lightly and preparation is key. Prior to the interview, it is vital that each applicant is aware what they had initially written in their application (usually submitted around December time for Middle Temple). The interviewing panel would be very much aware of your application so be ready to answer any questions they may have on the work experience you have stated, interests or even grades. It is extremely important, in fact I would say a GOLDEN RULE for scholarship interviews that you do not lie or over-exaggerate your abilities or work experiences in the application form. This is because during the interview, you could be heavily questioned on what was stated on your application and if you are unable to answer any questions arising from it, this likely to jeopardise the entire interview. The second most important thing to do is to thoroughly research the area or areas of law you have indicated interest to. The panel may very well ask you questions on a recent decision in that particular area of law or ask you to expand on a particular point of law in relation to that area. Therefore, preparation which correlates with your statements in the application is crucial. Nevertheless, it is important note that the panel is not there to catch you out but rather they want to try and provide assistance to every applicant. However as this is physically impossible and as there is potentially a huge amount of funding which may be provided, they need to be certain that you are the appropriate candidate for the Bar and that you would be able to complete the BPTC successfully. Remember to remain calm and confident in answering questions. Make sure you dress smart and walk in with a smile!